Are you looking for a financial advisor in East Grinstead? Reeves Financial has been offering impartial financial services and advice to clients in East Grinstead and throughout the South East for more than 20 years. We provide a truly personal and tailored service, taking the time to understand your personal situation in order to offer truly bespoke advice. As we are entirely independent from financial institutions and providers of products, you can be sure that you will only ever get unbiased independent advice from us. We have built up a reputation based on integrity and professionalism, and we put the interests of our clients first. 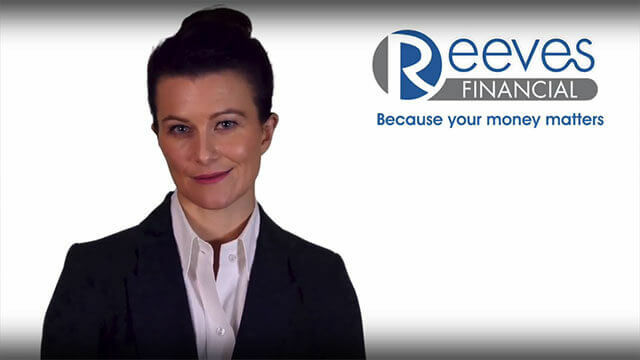 Reeves Financial is a highly experienced financial advisor, we are fully qualified and hold the expertise to advise you on a wide range of financial services. Whether you are planning for your retirement or looking for tax efficiency within your investments, we will help you achieve the excellent outcomes you require. We additionally provide a whole of market approach and can advise on issues such as lifetime mortgages, equity release schemes and long-term care. We learn about you and your situation, as well as bearing in mind that circumstances change over time. Where agreed, we will maintain regular communication with you in order to provide ongoing financial services and advice based on any changing circumstances. We focus on building excellent relationships with our clients, many of whom have been with us for a number of years. Please do not hesitate to get in contact with our team today. You can call us directly on 01342 887635 to speak to a friendly member of staff who will be able to answer any of your questions. Alternatively, you can use our contact form or email info@reevesfinancial.co.uk and we will get back to you as soon as we can. If you are interested in working with an independent financial advisor in East Grinstead, we would be happy to get started.